I remember the time when I used to draw clothes with a variety of color and design for my hand drawn paper doll. It was so fun back then and I never thought it'd still be fun until now. Thanks to Polyvore for their web user interface feature wherein you can create fashion sets from their pool of clothes sold online. 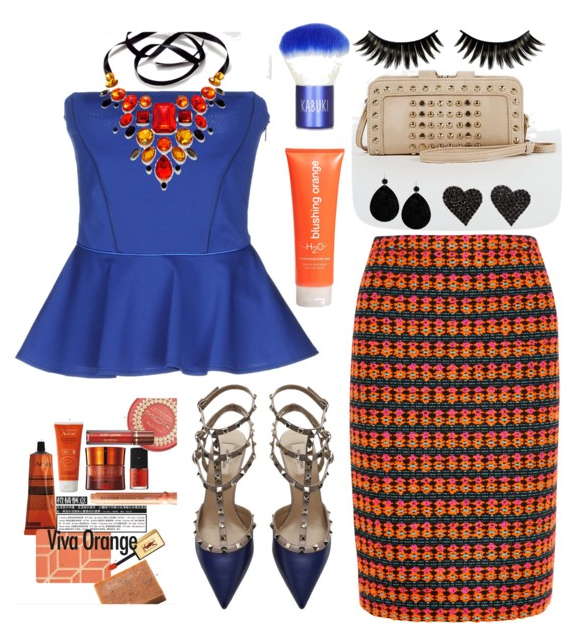 This year I envisioned myself wearing bold colorful sets hoping that I had the confidence to carry it well. Here are the color combination of the sets I had in mind. I have long dreamt of owning a Valentino So Noir Leather Pump. It's such a lovely and stylish shoes. Perfect for a fashionista. Late last year I'm seeing a trend for flare skirts. They are so edgy. I really think these skirts help to boost up the whole look. I love busy prints. But its important to keep in mind that you have to maintain harmony and balance when wearing one. Here I paired it with a plain top to balance out the whole look. 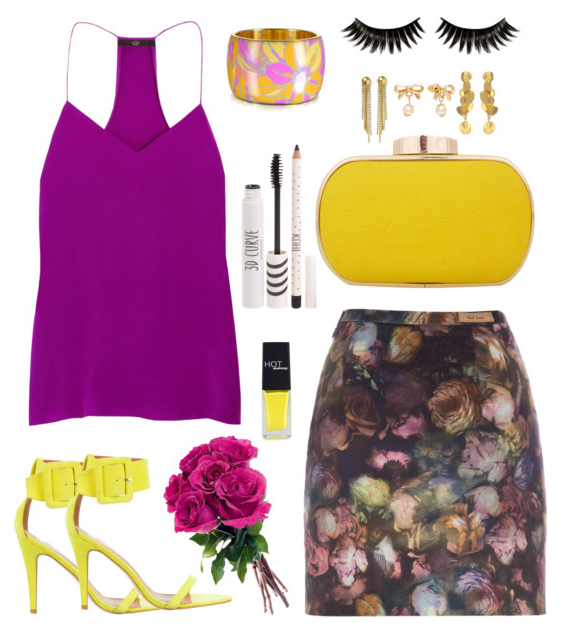 I've also added a pair of yellow cuff heels and a yellow clutch to give the entire look a splash of color. So these are the color combinations I had in mind for this year. I wanted to get playful and bold with my outfit choices. How about you?